The Legionary Trail is a Roman archaeological park in Windisch/Brugg, (nearby Zurich), in the canton of Argovia. It stands on the historical site of the only Roman army camp ever established in Switzerland. 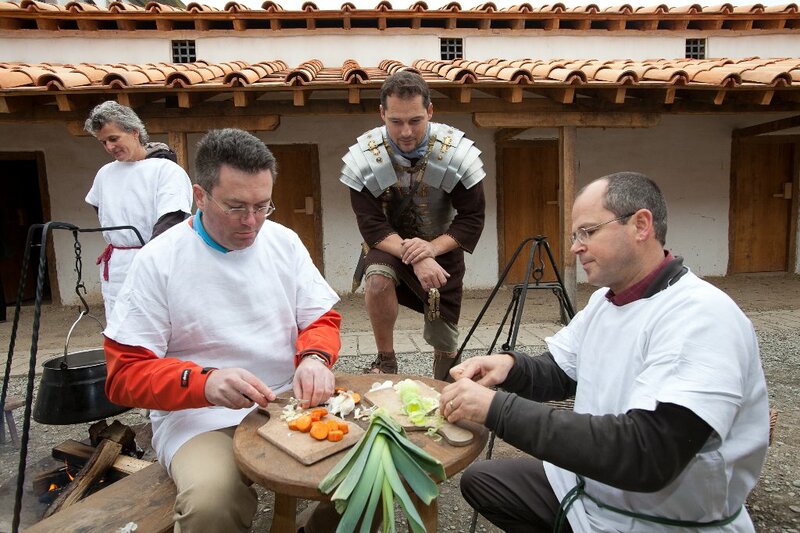 Visitors discover eight archaeological sites and accurately reconstructed Roman military barracks from the 1st century AD. Originally, the camp spread out over some 20 hectares. The barracks were first built out of timber and clay by the soldiers of the 13th legion. Over the years, a civilian settlement developed outside the legionary camp, which grew to around 45 hectares and probably accommodated some 10,000 inhabitants. After the first excavations in the 19th century and the latest decade of ongoing archaeological research in the city of Windisch, the Legionary Trail was established to give an impression of the disappeared Roman camp as a whole in the light of most recent research. Impressive architectural witnesses to the period of the legionary camp stand on the Windisch Plateau: a large amphitheatre, fortifications, a bathhouse and a water conduit that has been functioning as such for 2,000 years. The archaeological site below ground in Windisch is offering spectacular finds to this day, the most recent example being the kitchen of a high-ranking officer. Remains in such quality are usually only found in Pompeii. Our goal is to not only to provide an insight into the history of the Roman military on the borders of the Roman empire, but also to give an as accurate as possible impression of the day-to-day life of legionnaires. The excavation sites can be explored through several audio-guided tours on different topics ranging from the ordinary military life of legionnaires, to the dangerous spectacles at the amphitheatre to the luxurious life of the senators. The archaeological research and work in Windisch is also addressed. Many of the sites are below street level and are only accessible to visitors of the Legionary Trail. 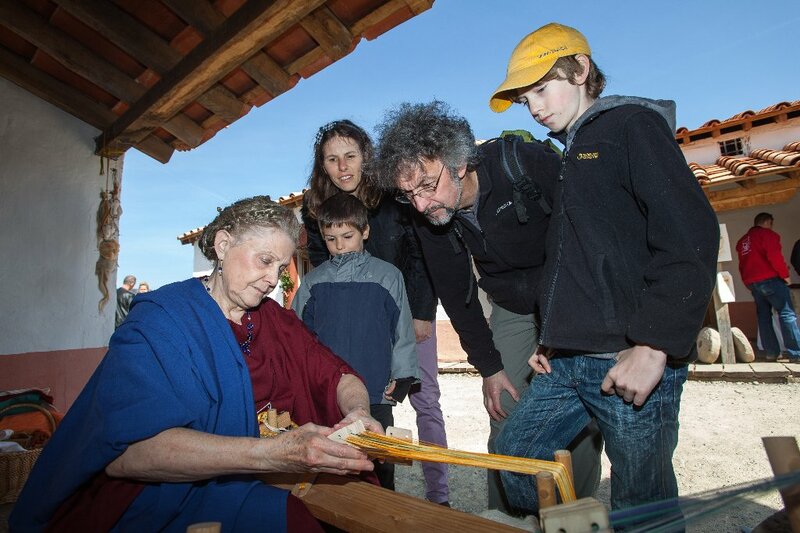 Using the latest staging methods, visitors are given a unique and accurate experience of what it meant to be living in a Roman army camp. 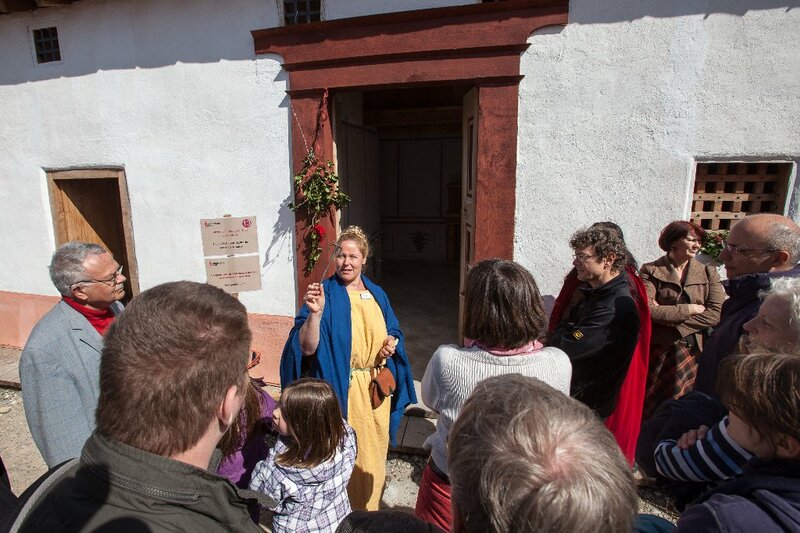 Using the didactical approach of living history, the Legionary Trail provides various workshops and even overnight stays in the rebuilt barracks. The barracks (CONTUBERNIA) have been accurately reconstructed and are located on the assumed grounds of the original legionaries’ quarters. A contubernium consisted of two rooms that accommodated eight legionnaires. Today’s barracks consist of 10 fully equipped and furnished rooms for the ordinary soldiers. 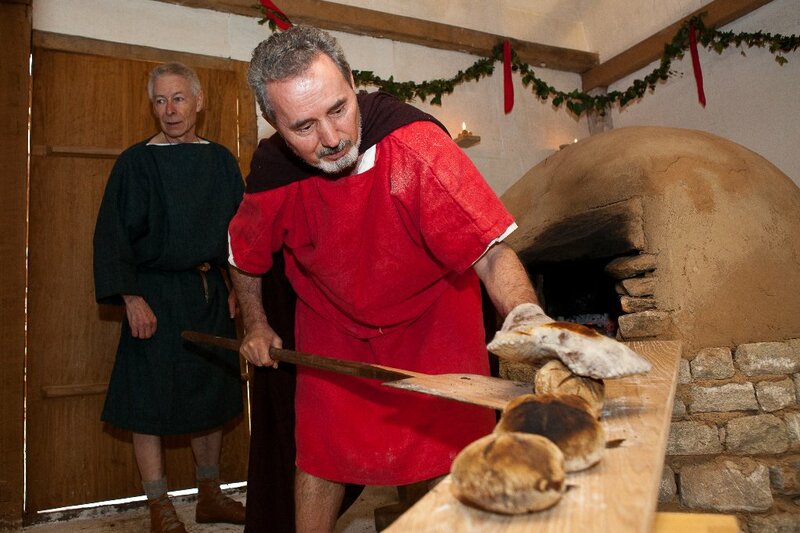 Schools, families and groups can spend a ‘Roman night’ in the lodgings with Roman food cooked on an open fire. In the officer's house at the end of the camp street visitors get an impression of the Roman upper class environment. Opposite the officer's house, lies the FABRICA, a building where visitors can try Roman handcraft and bake bread in the reconstructed clay stove. 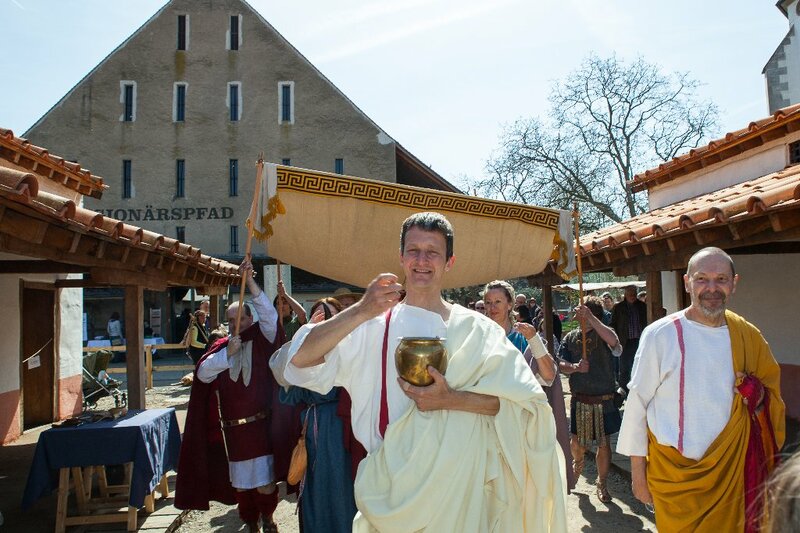 Furthermore, there are special events throughout the year, many in close cooperation with some of the best Roman re-enactment groups in Switzerland and Europe. The Legionary Trail is part of the Museum Aargau, which also comprises the castles of Habsburg, Hallwyl, Lenzburg and Wildegg as well as the Königsfelden Abbey Church. Born in 1981, Rahel Göldi studied classic archaeology as main subject, and side subjects prehistory and old history at the University Zürich. From August 2009 she was scientific employee at the Legionärspfad, from April 2011 leader of interpretation of history and from July 2011 leader of the Legionärspfad.